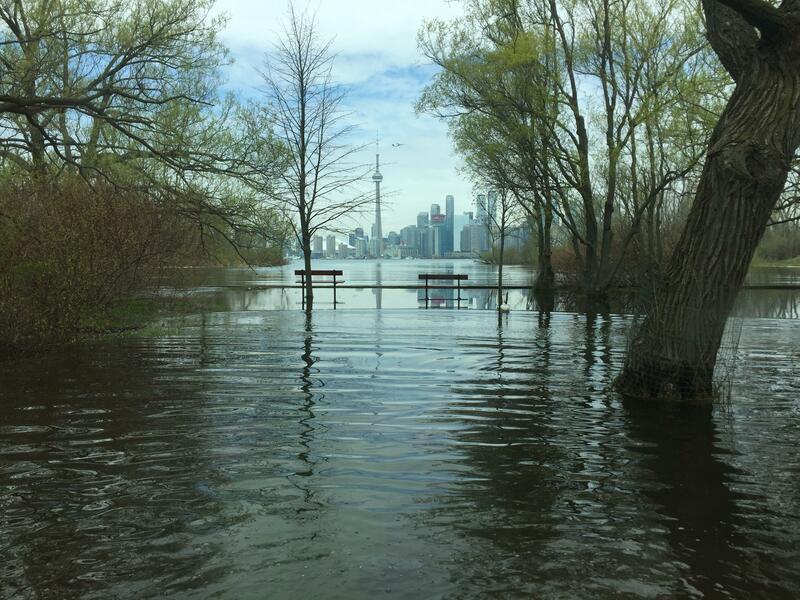 The Toronto Islands are slowly being swallowed by Lake Ontario. The flooding has yet to subside and residents are have already erected sandbag walls and readied for the worst. 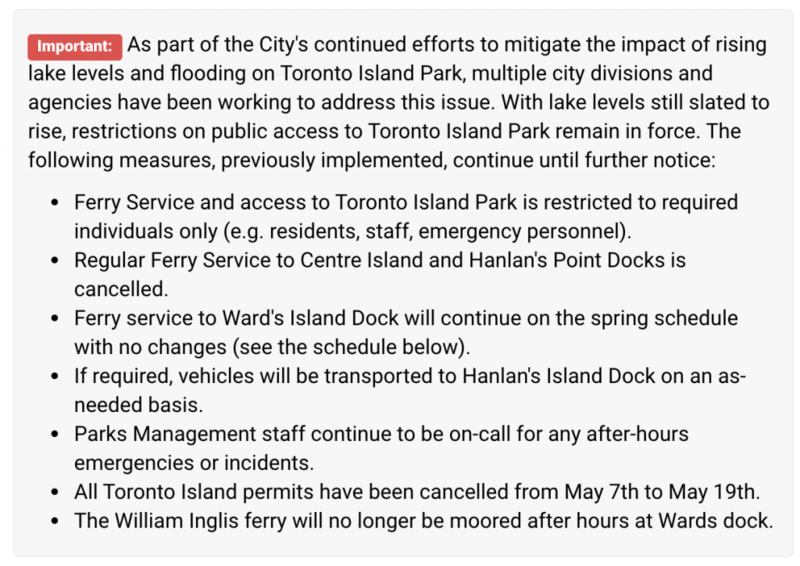 With ferry service restricted to the general public, most of Toronto is entirely cut off from the situation. 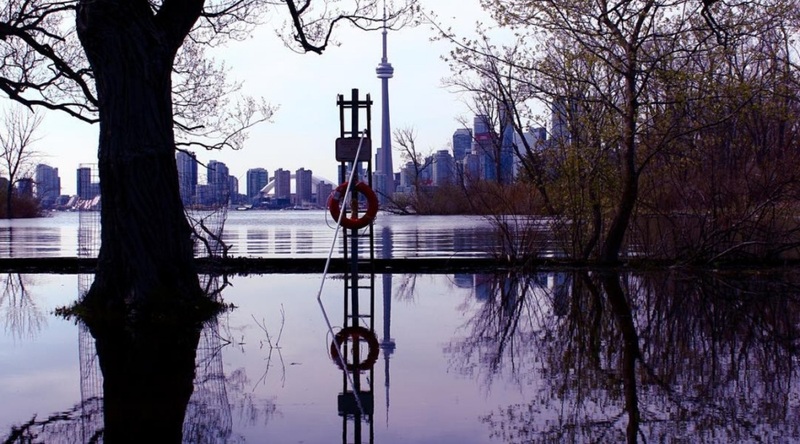 A glimpse of the situation on social media offers a strange sense of calm (it’s still pretty isn’t it?) amidst potential devastation.